The Batticaloa Lagoon stretches for 56 km between two of Sri Lanka’s main districts – Batticaloa and Ampara. Its spectacular landscape and seascape, along with the exotic species of flora and fauna found along its curves, makes it one of the island’s most scenic spots. This aquatic habitat is home to a dazzling array of migratory, resident, and endemic species of bird as well as an impressive list of other wildlife. It is a hotspot for academics and researchers alike, who are drawn to it for its thriving biodiversity. Fishing boats also often line up along the coast against the stunning sunsets that sweep across the horizon, making for unbelievable photo opportunities. This lagoon is only one of three in the Batticaloa District. Along with the other two – Valaichchenai and Vakari – it contributes to a very diverse and critical estuarine ecosystem that has become the lifeblood of the area. 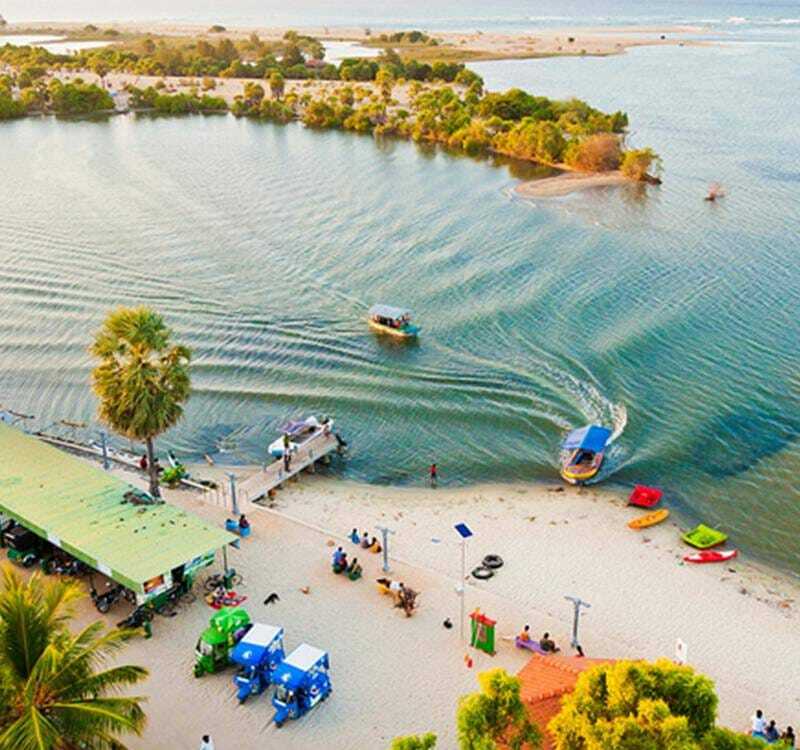 The locals here grow crops such as rice and coconut as well as engage in shrimp farming, which has developed into a booming industry in these parts. This part of Sri Lanka is also unlike the country’s other coastal regions – being more laidback and quieter. It is the perfect spot to disconnect, get back to nature, and recharge.